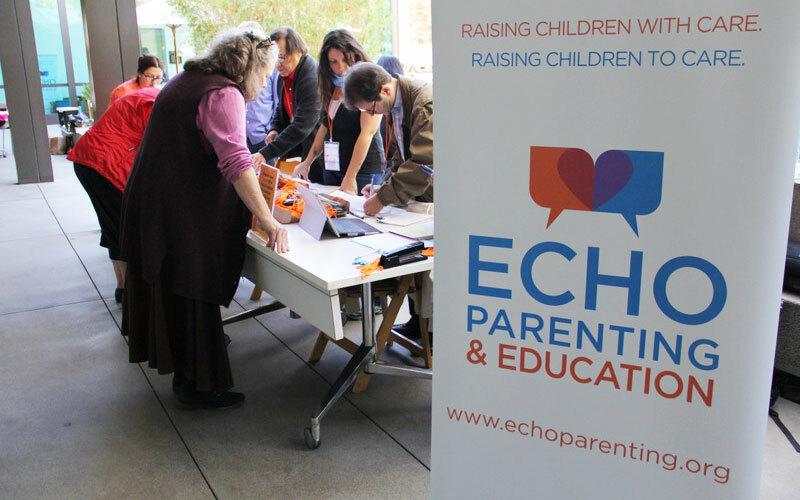 Echo is able to provide parenting classes and professional development training for your agency or group. Call us at 213-484-6676 or email info@echotraining.org for more information on our contract terms and organize a training for your staff or a professional workshop in your field. The philosophy and practice of nonviolence in raising children yields benefits for anyone who works with children or families. An understanding of attachment theory, interpersonal neurobiology, trauma informed care and more can help professionals to build an empathy-based practice in their work. Whether you are a teacher, mental health professional, child care provider, domestic violence shelter staff, pediatrician or other child-related job, our highly skilled teaching staff led workshops for professionals in many different fields. The following video is our Executive Director, Louise Godbold, presenting an overview of childhood trauma.